The idea of forming a new guild in the Western Communities of Victoria was conceived by Jan Peever and Anna LeDrew during a trip to the quilt show in Sisters, Oregon. When they returned home, they talked to other quilters and the local quilt shop, The Cloth Castle, about their idea and everyone was extremely enthusiastic. 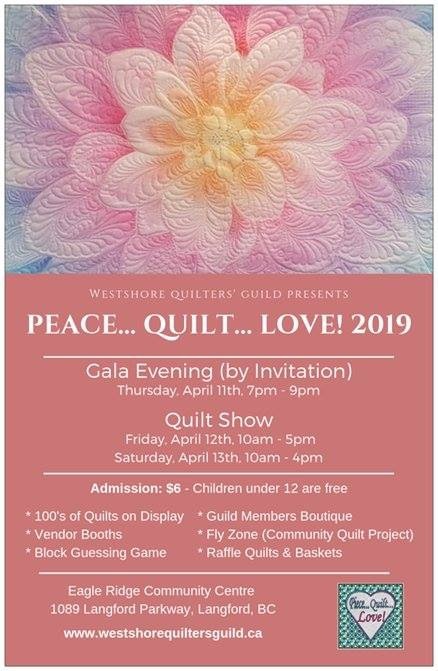 Buoyed by the response, the Westshore Quilters’ Guild’s first meeting was held at Gordon United Church on Sep 22, 2005 with 49 charter members present. Jan was elected at the inaugural president. 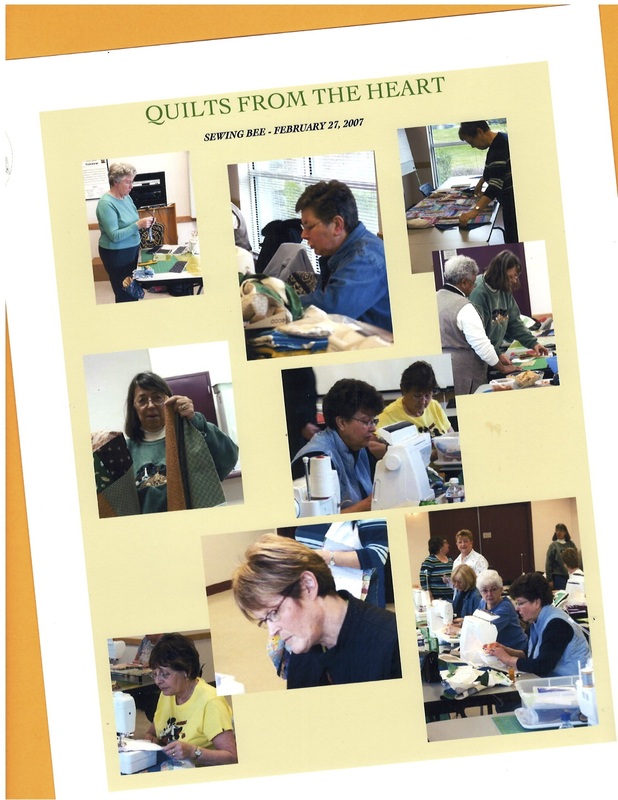 The first quilt show – “First Ever Quilt Show” was held at Langford’s Eagle Ridge Community Centre April 27, 28 and 29 2007. Westshore Quilters’ Guild became the “Pincushion Guild” with the making of 4,500 pin cushions to advertise the show! The Guild moved from Gordon United Church to Pilgrim United Church on Painter Road in Colwood. When Pilgrim United Church was sold in 2015 the Guild moved to it’s current home – Church of the Advent, 510 Mount View Road, Colwood, BC. All quilt shows have been held at the Eagle Ridge Community Centre in Langford.